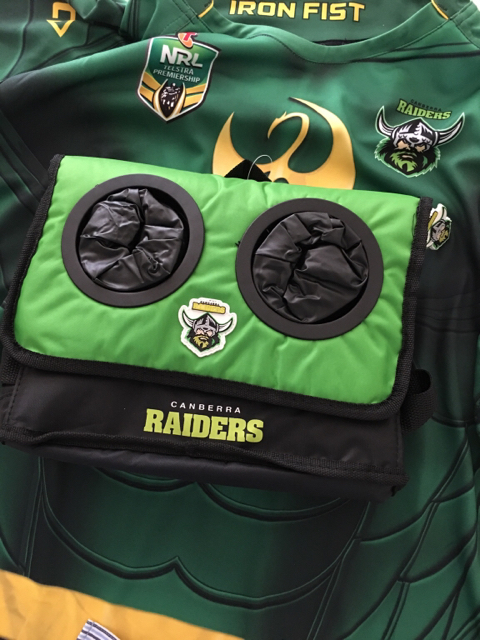 Thanks to Jerseys Megastore we have five Raiders drink/food coolers to give away at the Round 2 match against the Cronulla Sharks. The first five people to go to the Jerseys Megastore merchandise outlet in the western forecourt on this Saturday and mention The Greenhouse... you take a cooler home. That's the outlet in front of the Mal Meninga Stand. There's only five so be early! The jersey isn't a freebie, but you can buy those from Jerseys Megastore too!